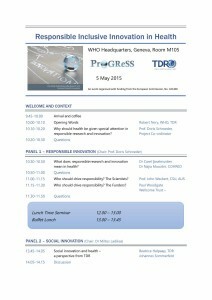 We are pleased to announce the next ProGReSS conference that will ta ke place on May 5th 2015, at WHO Headquarters in Geneva, Switzerland. 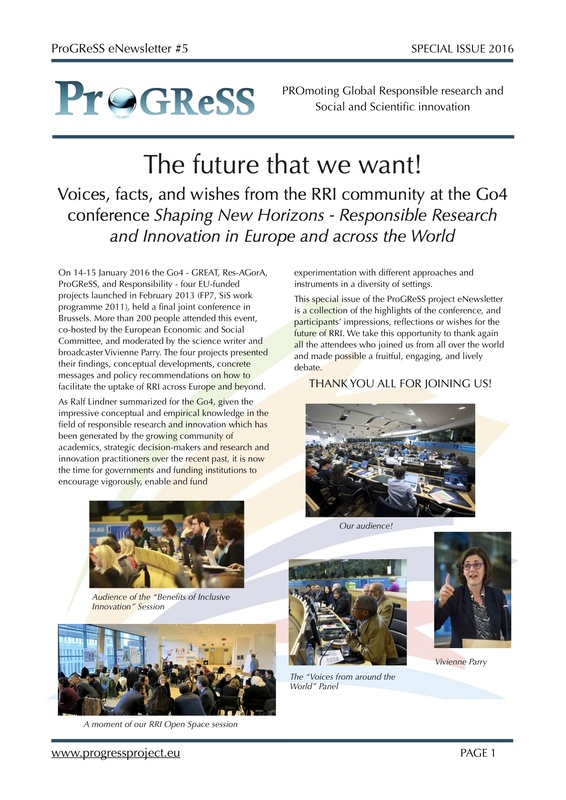 Following its calling, ProGReSS will engage once more with stakeholders across the world to foster a concept of global RRI. 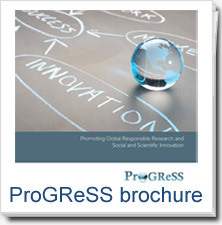 Representatives of WHO, Wellcome Trust, TDR, and COHRED will join ProGReSS’ partners in the debate about Responsible Inclusive Innovation in Health. 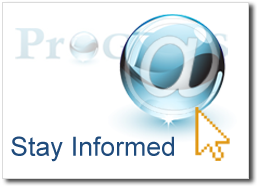 A special lunch session has been organized to highlight overviews on the conference’s main topic from Europe, Africa, and India.